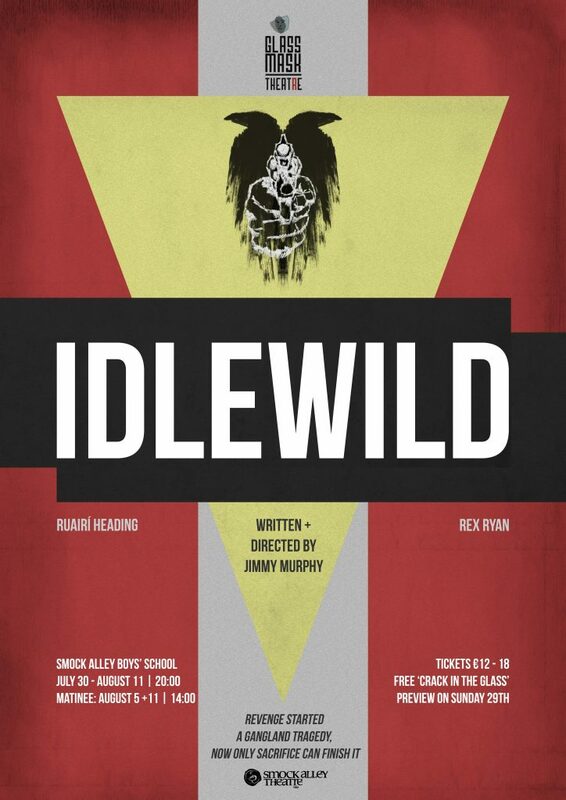 Dublin based theatre company directed by Rex Ryan, committed to the work of exceptional Irish and International playwrights. Their ﬁrst season, ‘The Price Of Life’, will consist of three plays by acclaimed Irish Playwright Jimmy Murphy, including two world premieres, intensely brought to life by the company. Artistic Director and Associate Actor at Glass Mask Theatre. Rex founded Glass Mask Theatre to bring stories to life that speak intensely and passionately to the times we live in. Rex is a Director for The Gaiety School of Acting as well as a freelance Director. Rex has acted extensively nationally and internationally. Mags is the producer at Glass Mask Theatre. An engineer graduate, Mags is a director and producer who has worked extensively around Ireland with numerous companies including Corcadorca in Cork and production work at The Cork Midsummer festival with Spliced. Jimmy is Associate writer with Glass Mask Theatre. One of the most powerful and probing playwrights of his generation, Jimmy has written extensively for The Abbey Theatre and his play are revived nationally and internationally. He was the winner of the best new play award from The Irish Times for ‘ Brothers of The Brush ‘. Migle Ryan is the literary manager at Glass Mask Theatre. She will facilitate a playwriting mentorship scheme as part of our residency with Smock Alley and Jimmy Murphy in 2018. Ruairi is an associate Actor at Glass Mask Theatre. He has created compelling characters across numerous stages around Ireland including our national theatre. Rise Productions are an award-winning Irish theatre company, telling stories across various platforms and media. Their debut show Fight Night won both the Best Actor and the Bewley’s Little Gem award at the Dublin Fringe Festival in 2010, and was nominated for Best New Play at the Irish Times Theatre Awards 2012. In November 2011, Rise Productions unleashed its groundbreaking Irish Theatre Podcast on an unsuspecting public. For 52 weeks straight, the series sought to “support, promote, and celebrate all that’s great about Irish Theatre.” These weekly conversations granted unprecedented access to some of the most influential figure in Irish Theatre, creating the most comprehensive archive of Irish Theatrical voices ever compiled. 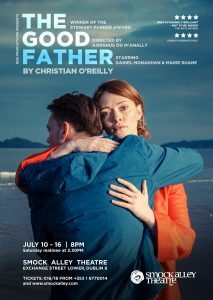 2017 saw a return to touring for Rise Productions, with Christian O’Reilly’s The Good Father selling out venues nationwide and receiving rave reviews. The Good Father ran in Smock Alley Main Space 10 -16 July 2018.
tonnta is a music company and vocal ensemble dedicated to new music. 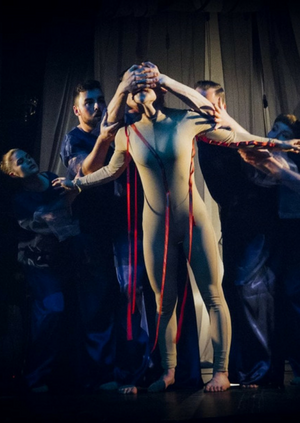 tonnta’s sound is vibrant and dynamic and its work brushes against the worlds of contemporary dance, theatre and live art. tonnta believes in creating experiences for all. We prioritise making performances and events that are fully accessible. This new immersive musical experience invited you, alongside the artists, to examine the human struggle to encompass and understand scientific theory, natural phenomena and human behaviour. Veronica Coburn was a founder member of Barabbas Theatre Company with whom she toured to, amongst others, New York/Next Wave Festival BAM, Washington/Kennedy Centre, and New Zealand/Wellington International Arts Festival. She is the author of Clown Through Mask – The Pioneering Work of Richard Pochinko As Practised By Sue Morrison. Written in collaboration with Sue Morrison it is published by Intellect Press. Veronica was Artist in Residence in Draíocht Arts Centre for three years, 2012 – 2015. The focus of her residency was the building of Hallelujah! Draíocht’s Community Clown Choir. Ranging in age from 18 to 80, the members of Hallelujah! developed and performed original work that spanned vocal chorus and red nose performance. Veronica is programme director of Tenderfoot, The Civic Theatre’s apprentice theatre programme for transition year students, now in its eleventh year. Tenderfoot provides young people in South County Dublin with the opportunity to learn about theatre by making theatre. A book, Tenderfoot – Plays By & For Young People, was published in 2015 in association with South Dublin Library. Veronica received an Arts Council YPCE Bursary in 2016 to work on a book, provisionally entitled ARTiculate, focusing on working with drama in a school setting. Produced work includes Bernarda’s House – a red nose retelling of Lorca’s classic play for Dublin Fringe Festival 2014, Mayday for RTE Radio Drama – winner of Prix Europa/Radio France, Twentyseven, also for RTE Radio Drama – Gold Medal New York, and Kinsey One Through Five – Best Radio Script Zebbie Awards 2018. Veronica recently directed Dublin Youth Theatre’s 40th anniversary show, this is a room…, in collaboration with Dylan Coburn Gray for Dublin Theatre Festival 2017. Other directing work includes Amy Conroy’s Eternal Rising of The Sun and Break for HotForTheatre, Wicked Angel’s I’m Not A.D.H.D. I’m B.O.L.D., Ruth Lehane’s The Lehane Trilogy, and most recently Levin & Levin by Aideen Wylde for Brokencrow Theatre Company and Joanne Ryan’s Eggsistentialism for DTF 2016, Edinburgh Fringe 2017 & Melbourne Fringe 2018. 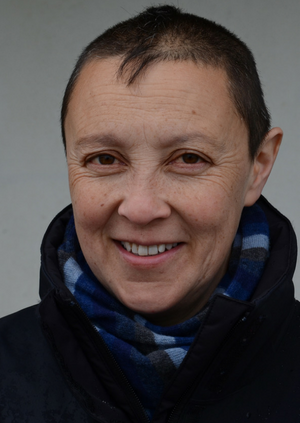 Veronica is currently Artistic Director of Home Theatre (Ireland), an innovative project that will see thirty original plays performed in people’s homes in Dublin 15, for Draíocht Arts Centre Autumn 2018 and she has been commissioned to make a new participatory art piece for South County Dublin, CLAMOUR & ROAR – A Citizens’ Chorus, an In Context 4 initiative, featuring spoken and sung choral text with projected visual design to be performed in The Civic Theatre May 2019. Veronica is excited about her forthcoming association with Smock Alley. The importance of play will be the focus of Veronica’s residency culminating in a programme of work for 2019/2020 that spans and connects participation and performance.